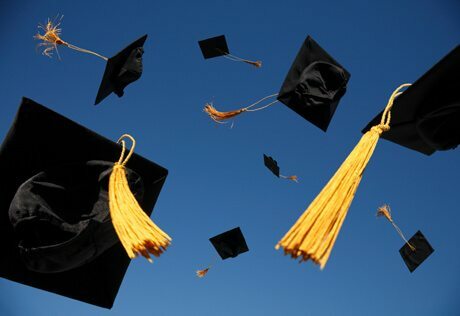 Whether you’re looking forward to graduating from high school or college, it’s time to plan a graduation party. Your first step should be securing a great location in the Trevose, PA area, and we at the Phoenix Sport Club are happy to help with that. The Phoenix Sport Club boasts a beautiful banquet room that regularly hosts everything from weddings and baby showers to birthday parties and, of course, graduation parties. Here’s what makes us the perfect choice for your high school or college graduation party. Our banquet room can comfortably accommodate the 120+ guests that most events have here. When you choose this room for your college or high school graduation party, you don’t have to worry about the weather cooperating with your plans, because you know it will be a hit rain or shine when you’re indoors. Our banquet room is spacious enough to fit numerous tables, chairs, and decorations while also leaving space for your guests to dance the night away at your graduation party. So if you want to create an unforgettable event after graduation, the Phoenix Sport Club is your best bet. If you want to switch it up and stay outside during your graduation party, the Phoenix Sport Club can make it happen. We have a refreshing 25-meter swimming pool that your guests can enjoy during your summertime graduation party. If you’d rather not swim and want to keep your party intimate yet fun, ask us about our picnic services in our cozy wooded grove. Whichever option you choose, you and your guests will get to enjoy the great outdoors – and the beautiful weather – during your graduation party. The Phoenix Sport Club offers more than just a beautiful facility for your graduation party. When you book your event here, you can also count on a helpful attitude from our staff. We want to make sure your graduation party is the best ever, whether you’re saying goodbye to high school or college. That’s why we’ll work with you to select the right indoor or outdoor space for your party, as well as the best day and time. As the party approaches, we will help you coordinate the details, such as where the DJ or Photo Booth will set up and how many tables and chairs you’ll need. We know this is an exciting time in your life, and we want to help you celebrate it right! So as you plan your college or high school graduation, we encourage you to come to us for help from the start. To learn more or to make an appointment to check out the Phoenix Sport Club, please call our club manager Liz Jennings at 215-357-9913.